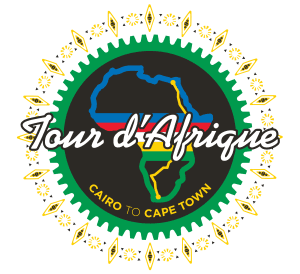 In 2003, for the first time ever, a group of 31 intrepid cyclists decided to cycle from Cairo to Cape Town calling the adventure Tour d’Afrique. 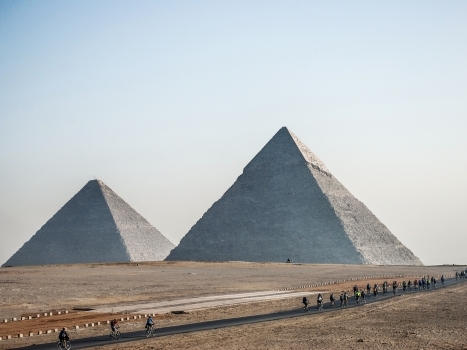 The iconic tour takes four months and is now on the bucket list for many aspiring cyclists and adventurers. However, not everyone has the time to cycle four months. If that is your case, cycling the final month from Victoria Falls to Cape Town is a great alternative. Here are 8 reasons to make this your next cycle challenge. 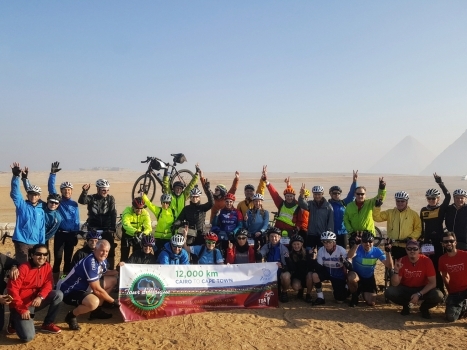 The Tour d’Afrique starts at the Pyramids of Giza, one of the Seven Wonders of the Old World. Not to be outdone, the Vic Falls to Cape Town sections start at one of the Seven Wonders of the Natural World, the majestic Victoria Falls. Or as the locals call it, Mosi-oa-Tunya, the Smoke that Thunders. The Falls are not only majestic, but the area itself also hosts a variety of activities that will satisfy any adventurer. These activities range from bungee jumping over the Zambezi River, cruises, white water rafting and kayaking, to helicopter or ultralight flights over the falls. 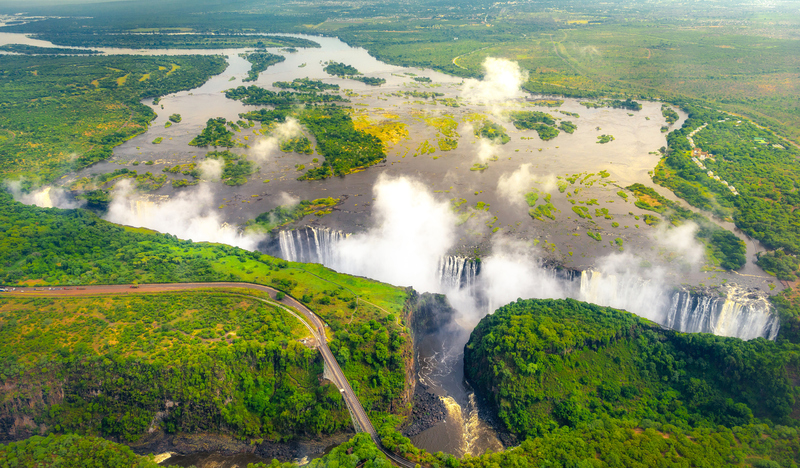 There is a reason Vic Falls has been called the Endorphin Capital of Africa. There are many places you can see elephants, from zoos to national parks. 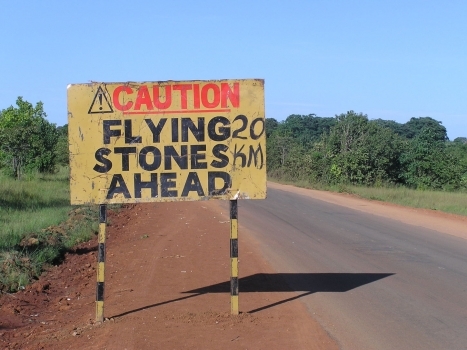 But there is no other route in the world where you will come across elephant droppings as you pedal along the road. These will become more and more frequent, and you better be on the look out, as the elephants can show up at any time, anywhere. And when you do see them, hopefully keeping a safe distance, you can ponder if there is a more magnificent experience to be had from the saddle of your bike. 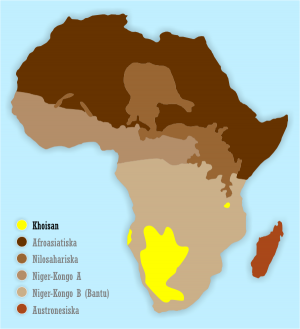 The Bushman of the Kalahari and the pastoralist Hottentots, known collectively as the Khoisan, were the original inhabitants of what is now called Southern Africa. It was not until the mid 14th or 15th centuries that the spreading Bantu agriculturalist group that originate in West Africa displaced them. 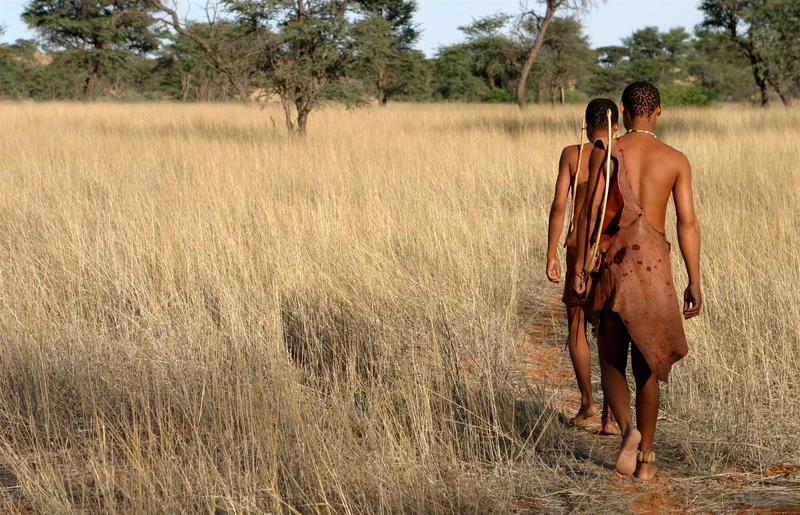 Agriculture was not suitable for the Kalahari Desert, and that is where the remnants of the Bushman survived until the 21st century. The route from Vic Falls to Cape Town will take you through the heart of the Kalahari and you can find out yourself what inspired the bushman to think that the “Gods Must be Crazy“. Gods by the way refers to white people. The dunes are five million years old, and their red hue is caused by iron oxide content. 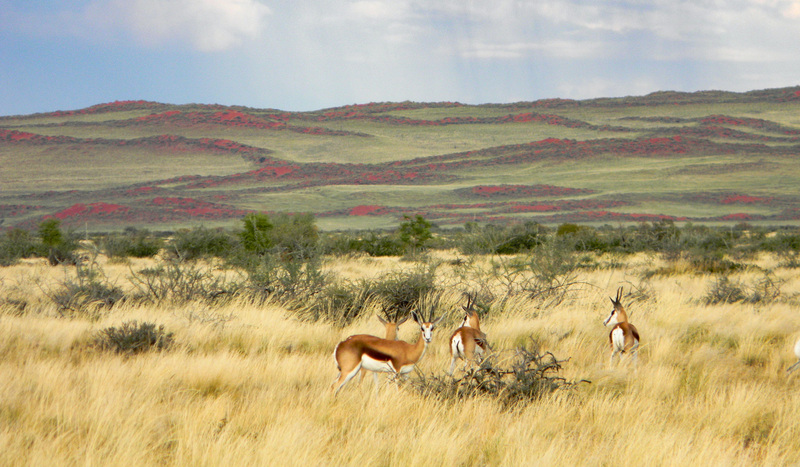 Combined with the area that surrounds them, the dunes of Sossusvlei attract visitors from around the world. Imagine yourself climbing the several hundred meter tall dunes at sunrise or sunset and then sliding or rolling down. It feels almost as good as cycling there. 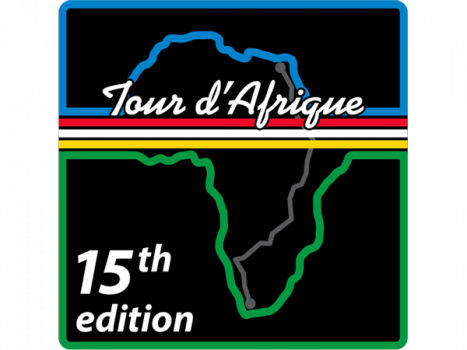 Cycling the Tour d’Afrique route from Vic Falls to Cape Town allows you to choose from several unique game viewing experiences. 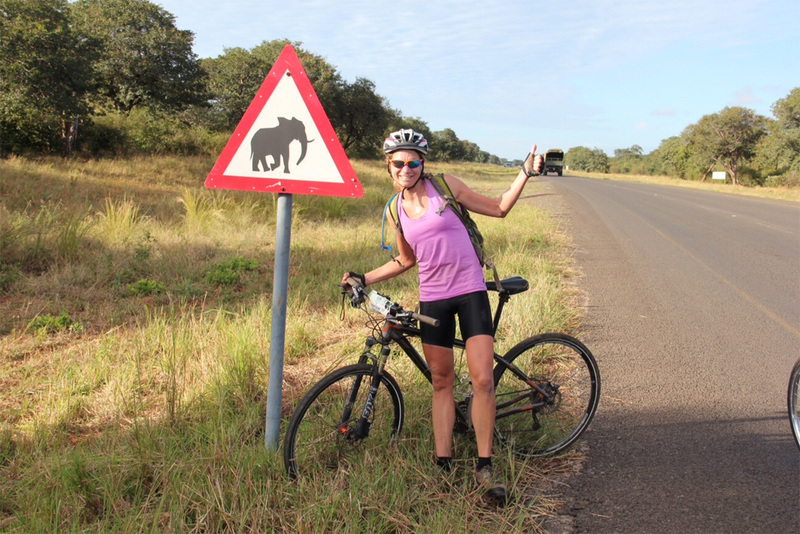 There are many wild animals to be seen from the saddle of your bike such as elephants, and a variety of antelopes such as the gemsbock, springbok, and did-dik. You could have the matchless experience of an ostrich racing beside you. There are also other unique opportunities such as taking a boat safari in Chobe National Park while enjoying a drink or a canoe safari in Okavango Delta. There are scenic helicopter flights over the delta and even walking safaris. And if your appetite is still not satisfied and your finances allow, you can have another extraordinary viewing experience on a balloon safaris in the Namib Desert. 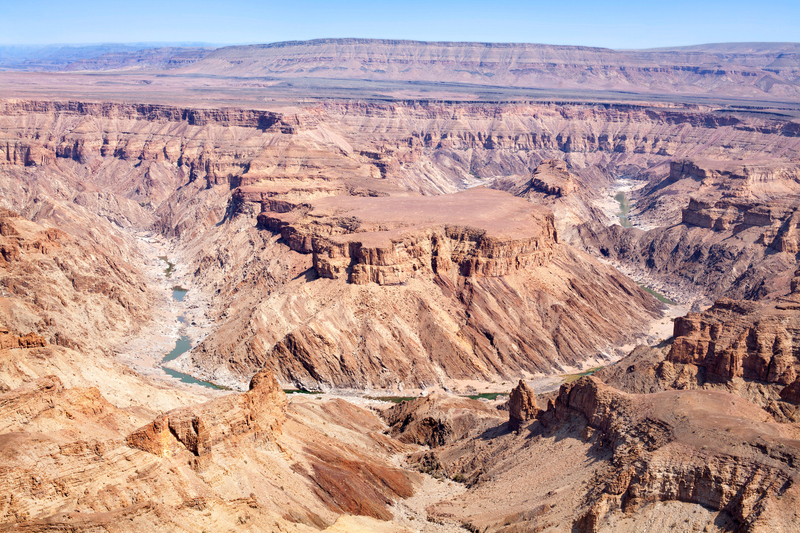 After a couple more days cycling south of the dunes you will arrive at the largest canyon in Africa and the most popular site in Namibia: the Fish River Canyon. The canyon is 160 km long, 27 km wide, and reaches a depth of 550 meters. For cyclists who are also hikers, sitting on top of the gorge can cause great stress due to a strong desire to abandon the bicycle tour and go for a five day hike at the bottom of the canyon. The natural wonders continue. From Fish River Canyon the cyclists enter Namaqualand which is divided into Little and Great Namaqualand. 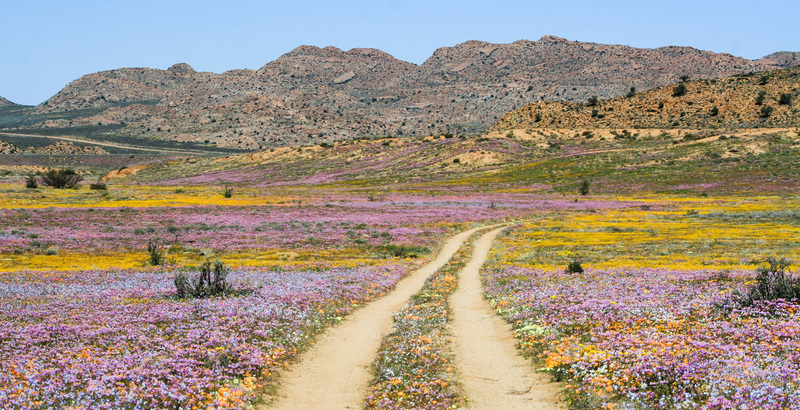 Namaqualand nowadays is popular with local and international tourists particularly during the flower season when the area explodes with wild flowers. There are very few cities that have the attractions of Cape Town. Chief among them is the imposing Table Mountain which, on a clear day, one can see from miles away. Cape Town has wonderful nature, beaches, cuisine, the infamous Robben Island where Nelson Mandela was imprisoned, the great rejuvenated waterfront, and on and on. All of this is available to the cyclists completing the route from Victoria Falls with Table Mountain whispering welcome. Apparently, however, the welcome is heard only by those who have cycled from afar.